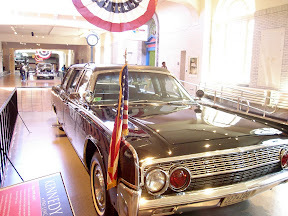 President John F. Kennedy's car (the same in which he was assassinated in 1963). 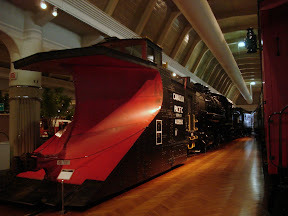 Canadian Pacific railroad snow plow. 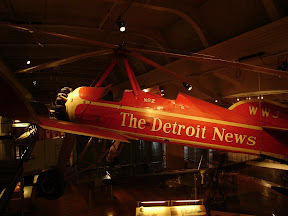 There were a lot of VIP vehicles of various kinds, from Tom Thumb's horse-drawn carriage, to various Presidential limousines. 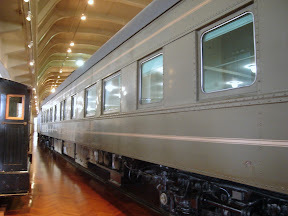 This is Henry Ford's private rail car. 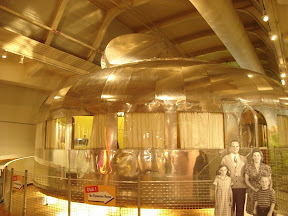 It has a stateroom, parlor, observation lounge, and kitchen, and would have been manned by a porter and chef. 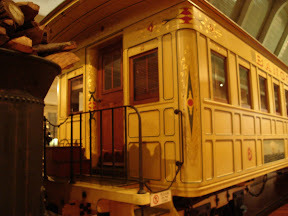 Private rail cars and trains were the private jets of their day. 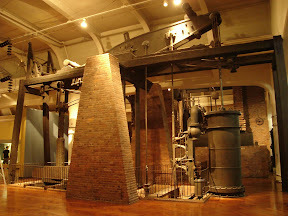 Steam engine dating from the late 18th Century. As a Napoleonic period reenactor I find it awesome that such large machinery was being built so early. 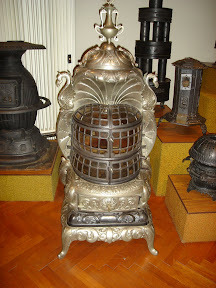 An ornate stove from the art deco era. 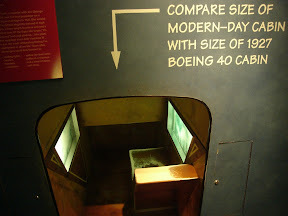 A mock-up of the Boeing cabin. 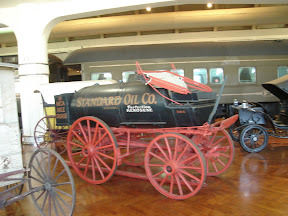 Horse-drawn kerosene tanker from the late 1800s. 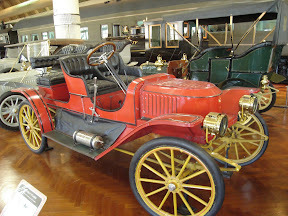 Pre- First World War steam-driven car, the Stanley Steamer. 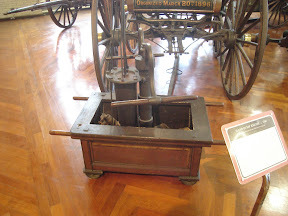 A firefighting hand pump dated to the 1760s. 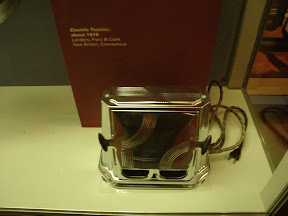 c. 1915 Electric toaster. 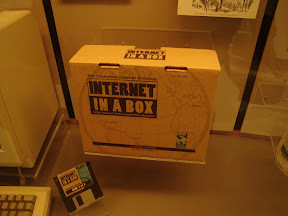 I like the design, its much sleeker than modern toasters. 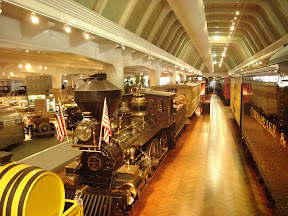 1850's era locomotive and carriage. 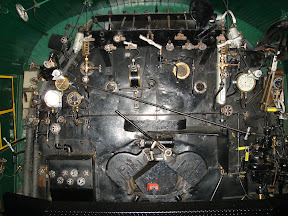 Controls and firebox of the Allegheny. 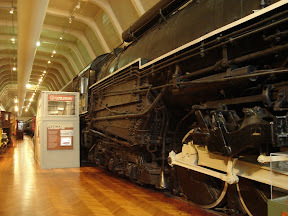 The coal was actually shoveled in mechanically. 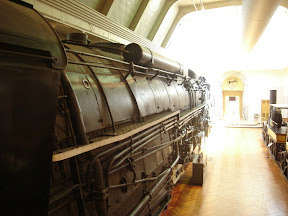 Allegheny. 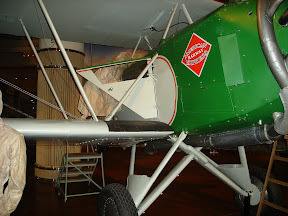 My head comes up to just above the white drive shaft. 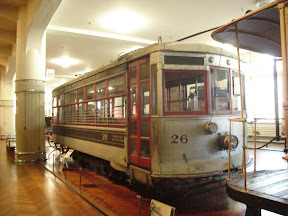 By 1900, most US cities had mastered light rail. 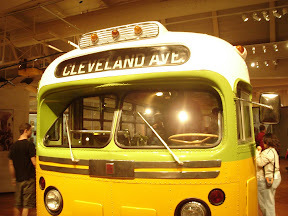 Then, in the 1940s and 50s auto companies bought up many streetcar companies and converted them to buses.